The main concept behind my PUMA campaign is related to meditation. People throughout China practice meditation as part of their religion so therefore I thought it would be an appropriate theme. The way I related meditation with PUMA was through their Sports Couture clothing range and the idea is that their clothing is so comfortable, it is very easy to relax and “loose yourself”, where ever you may be. So I ceated these images which could be used as posters. They are images of someone meditating and relaxing whilst wearing the PUMA brand and although they may be there in body, they are not there in spirit because they’ve transcended to another spiritual level. For the ambient media aspect of my campaign I thought of placing life-size models of the meditating PUMA guy amongnst the hustle and bustle of city centers around the world. This is to support the idea that you can realx and “loose yourself” no matter where you are. As a backup idea I thought of vinyls that could be placed on walls, strategically placed at the bottom so it looks like he’s sat on the floor. This would make people look twice and create an interest in the campaign. My ideas could easily be customised for more traditional media such as shop windows but also billboards and buses. 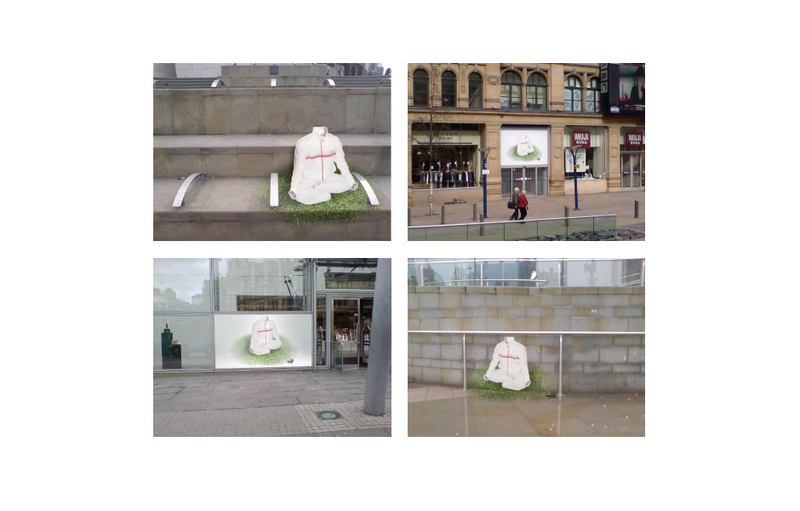 Therefore people can see the ads, not only in town but on their journey to and from town. 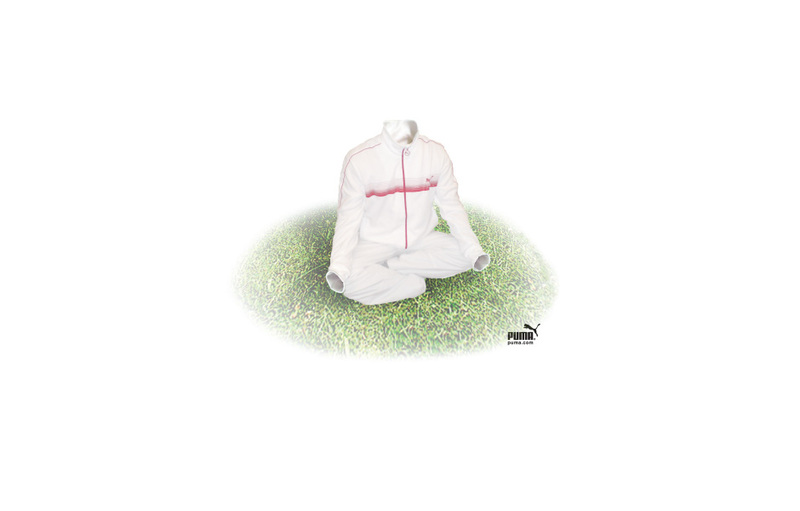 Another poster idea related to my meditation theme is a PUMA jacket folded in a meditation position, the arms are folded to look like they’re praying. I made them predominately black and highlighted the colours of the design on the jacket to give it a neon effect, I did this because Beijing, at night time, is full of neon lights and my posters would fit in with the surroundings. 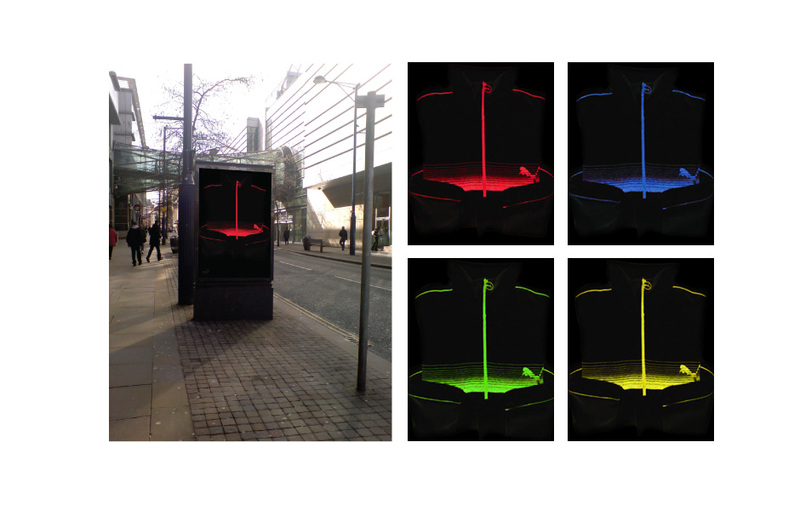 They would look great when lit up in ad shells, not only in Beijing but in major cities all around the world. To give the campaign a web presence I created this skyscraper web ad. The person meditating “looses himself” and disapears and then levatates to reveal the PUMA logo and web address.